Owning a business in Michigan means dealing with snow. There’s no way around it. Unfortunately, while snow may be pretty as it falls, it brings with it safety issues that no business can afford to ignore. At Heritage Irrigation & Landscape, we can help you with snow removal with our snow plowing services. During the winter, your business will be dealing with both snow and ice. As it covers sidewalks and parking lots, you need to deal with the possible safety issues. Depending on the laws in your community, you may be responsible for those areas, such as sidewalks, that are considered city property. Either way, you will want to ensure that all snow and ice is removed to reduce the risk of slips and falls. 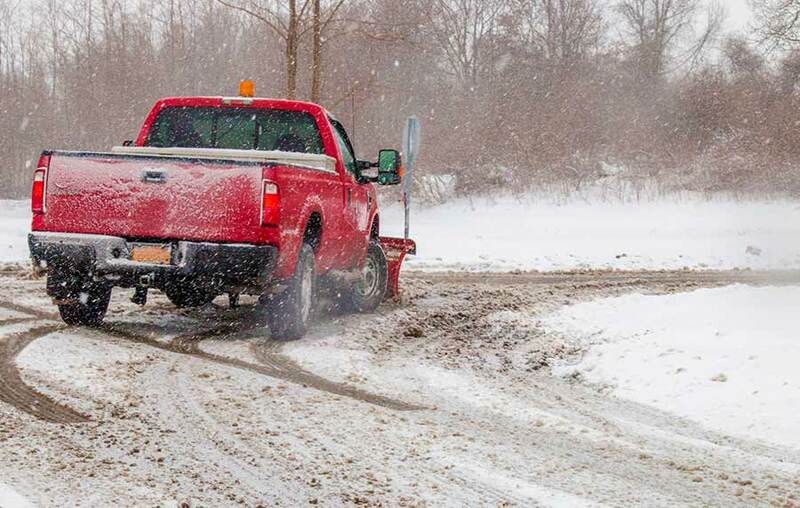 With our snow plowing services and salt spreading, we can help you keep your property safe all winter long. This can be doubly important if your business uses large machinery and equipment. By using our services, you can reduce the chance of a worker’s compensation situation arising due to an injury resulting from a fall. In addition, while salt is a must to remove ice during the winter, too much salt can damage to water sources near your property including ponds and lakes. By using professional snow plowing services and salt management, you can avoid this type of damage. Our fleet includes heavy-duty trucks and small and large salt spreaders, so no matter how much snow and ice you’ve received, we can remove it from your property quickly and efficiently. The best time to contact a professional for snow plowing services is before you need one, so give us a call today and be prepared before the first snow flake falls.